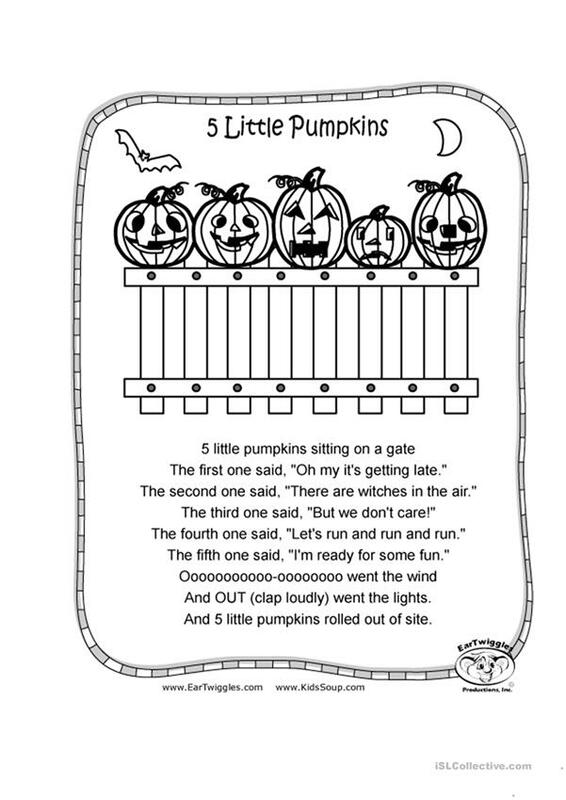 A cute little counting poem coloring sheet appropriate for Halloween activities. This printable, downloadable handout is best suited for elementary school students and kindergartners and nursery school students at Beginner (pre-A1) and Elementary (A1) level. It is a valuable material for improving your class' Listening, Speaking and Reading skills. It focuses on the vocabulary topic of Halloween. ebeck is from/lives in South Korea and has been a member of iSLCollective since 2011-11-01 02:49:14. ebeck last logged in on 2011-11-01 02:49:15, and has shared 1 resources on iSLCollective so far.